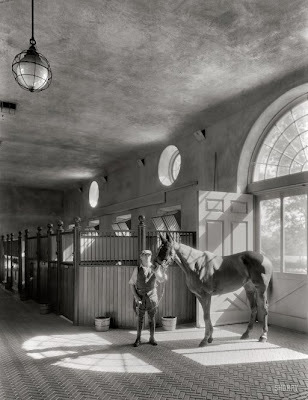 An interior shot of the polo stable (October 12, 1933) at Marshall Field III's 'Caumsett' in Lloyd Harbor. Photo brought to you via Shorpy.com. The slate roof and cupola have been replaced. Exterior renovations and stabilization are planned next.